Book Challenge Day 18- Favorite Fiction Book | What are we...the Whos? I’m an animal lover and this is a book about an animal lover. I was predisposition to like it. But the story is so well done that even non animal-obsessed people will love it. From the very beginning of the book you are rooting for Jacob, the main character. He gets dealt a pretty bad hand, but takes it in stride and joins the circus. Where he finds danger, love, a job, fear, friendship and a life-changing experience. It’s an addictive and charming read; you won’t be able to put it down. 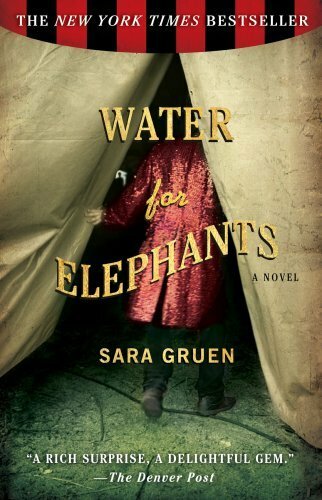 Posted in Authors, books, Reading, Writing and tagged 30-Day Book Challenge, Sarah Gruen, Water For Elephants. Bookmark the permalink.